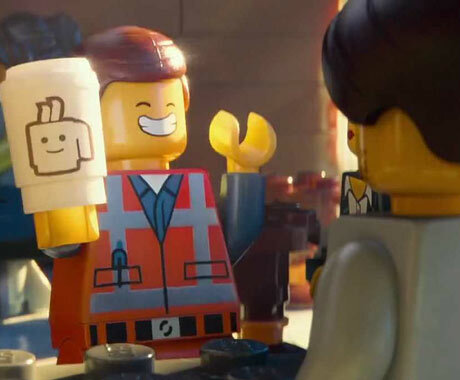 Visually innovative, unabashedly silly and just a whole heck of a lot of fun, The Lego Movie is better than you could ever imagine a movie based on the old plastic building blocks could be. Any cynicism about the concept is eliminated within the first few minutes, as it begins bouncing from one eye-catching and inventive sequence to another in the service of a story that speaks to the imagination the product inspires with jokes both kids and adults can appreciate. Before a powerful and mysterious weapon known as The Kraggle is seized by the evil Lord Business (Will Ferrell), the wise wizard Vitruvius (Morgan Freeman) prophesizes that there will come a Master Builder who will find a missing piece to disarm the weapon and save the day. Emmet (the endearingly goofy Chris Pratt), a common construction worker who can do little without a set of instructions, certainly doesn't seem like a natural candidate. But when he stumbles upon this missing piece and teams up with a spitfire who goes by the name Wyldstyle (Elizabeth Banks), the two travel through realms like the Old West, the ocean and a crazy land in the clouds while evading the minions of Lord Business. Along the way, they meet a whole cast of inspired Lego characters that vary from familiar faces like Wildstyle's boyfriend, Batman (Will Arnett) and Wonder Woman (Cobie Smulders) to more random ones like Shaquille O'Neal (voicing himself) and an obsessive astronaut (a typically manic Charlie Day). It all starts with the impeccably realized design, one that retains the unique appeal of stop-motion animation while moving with the fluidity of CGI. In a rare case of 3-D actually enhancing a film, the extra dimension adds valuable depth to the rigid shapes of the toys and all of the colorful backdrops. The meticulous attention to detail carries over to the screenplay, credited to co-directors Phil Lord and Christopher Miller (21 Jump Street and the upcoming sequel 22 Jump Street), as it regularly crams its rapid-fire laughs into the edges of the frame while never losing track of the bigger picture. All of the voice actors are perfectly cast, from the aforementioned mess of talent to Alison Brie as a cross between a unicorn and a cat naturally named Unikitty and Nick Offerman as a mechanized pirate with a tale of woe. Even when an abrupt twist introduces a layer of schmaltz that the film simply doesn't have enough time to properly set up and pay off, it earns points for sheer ambition and managing to still produce an emotionally resonant conclusion. This is a welcome surprise to find in the barren cinematic landscape that typically plagues multiplexes early in the year, a bona fide contender to be one of the best films of 2014.